Home > Blog > How long does it take to save for a house? How long does it take to save for a house? Data suggests that it now takes up to 8 years to save up for a house. 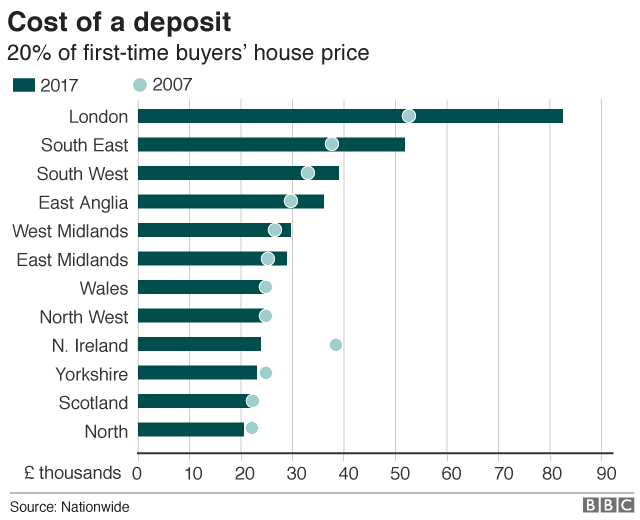 The average deposit at 20% is now around £20,000 across the UK and is as much as £80,000 in London. This data is according to the Nationwide Building Society. The Nationwide have analysed their mortgage data for the cost of a typical first time buyer home, based on four times their income, and took 20% from that figure. The BBC have produced a chart to show how each area of the UK compares. The East Midlands sits right in the middle, with the average deposit just under £30,000. As you can see, prices haven’t changed that much since 2007. The Nationwide also calculated how long it would take to save for the average deposit, based on saving 15% of a monthly income. This works out at around 8 years to save for a house deposit and approximately 10 years in London. The East Midlands ranked at around 9 years to save for a house. Many first time buyers are now turning to parents to help them save for a house more quickly, although the recent cut to stamp duty should help affordability. Walton & Allen offer free mortgage advice to compare the whole of the mortgage market. You may be able to afford to buy a house sooner than you think. Get in touch for advice today.